Preparing your air conditioner before you go back up North – At Your Service Air Conditioning & Heating, Inc.
Have your A/C filter changed. If it is washable, then wash it. An accumulation of dirt plus the summer heat and humidity can lead to mildew and mold growth, which can spread through the house. Florida Power and Light’s research found that setting a manual thermostat to 80 degrees for homes and 77 for condos typically provides enough dehumidification to prevent mold. Since you also have a humidistat to control humidity, you have the flexibility to set the temperature higher at 88 degrees, while setting your humidistat’s relative humidity, or RH, to 58 percent. This will help you save even more energy while still keeping the indoor humidity in a safe range. Always set the A/C fan switch to the “auto” mode. As an additional precaution, before you leave have your A/C ductwork checked for leaks by requesting. Check for air leaks around doors and windows, too. Both are good ways to minimize the amount of moisture getting into your home. Ceiling fans are not necessary since your A/C already circulates the air. 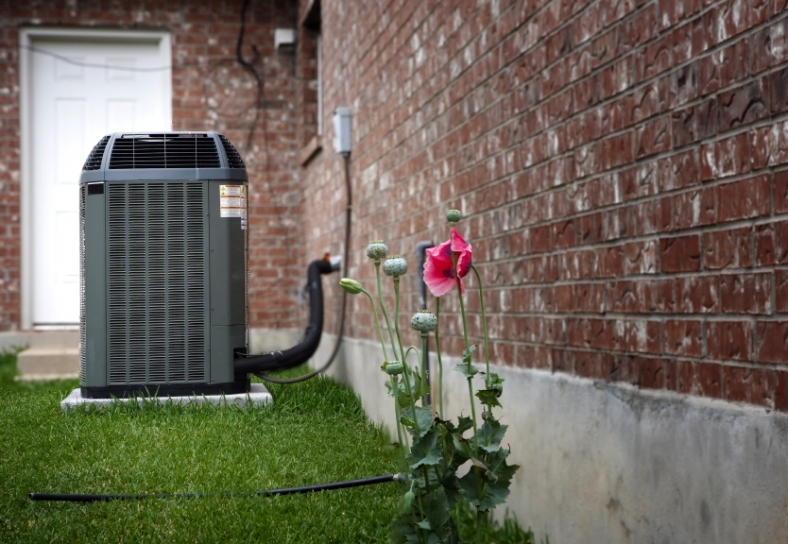 Most importantly, be sure to have all of your air conditioning concerns handled before you go back up North by calling At Your Service Air Conditioning and Heating at 239-565-9433.